New. 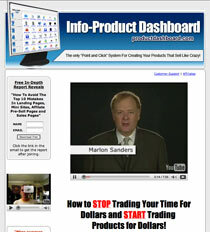 Easy graphing system lets you visually see what’s working, what isn’t, what your trends are, identify problem areas, know if marketing changes hurt or help you, spot dangerous trends before it’s too late, find surprising new profit opportunities — and make your business much more profitable than you could ever do without this system! I’m talking making more money. And possibly a lot more money. Why? Because using an ingenious and easy — to do – graphing system for the first time you will be able to see right before your very eyes whether your marketing changed are hslping you or hurting you. You will be able to see if a new lead source is actually increasing your profits. Your emails can only end up in 1 of 2 places. This is where they get dumped, ignored, not read and not responded to. This is where your emails get read, get clicked on and get responded to. Push this button and you will find out what people really want. Guaranteed! 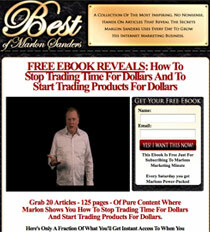 You’ll never hear a simpler formula for making money online or offline than this. Find out what people want to buy, then sell it to ‘em. Just fill in the blanks. Out pops your sales letter for your product or service. And now, new version 2.0 is even better because it allows you to totally customize your web page in ways never before possible. You get your choice of 41 background images, 15 order buttons, 7 satisfaction guaranteed images, 10 professionally designed action images, 224 background and font colors, 14 font styles, 12 font sizes, 6 testimonial designs and 8 different layouts for your features and benefits. For the last four years I’ve been the biggest advocate of a web site selling system that is proven to work over and over and over again. The system is very simple. It does not require overly fancy graphic design. It does not require constantly updated content pages. Best of all, thousands of people have now proven it works.